Well the actors gave me a very nice reading of my DARK MARET play Sunday but they also gave me lots of good feedback for how to make the play better and I feel like I missed so many opportunities my current version of the play is crap. I'll let it rest for a while before going back to it. 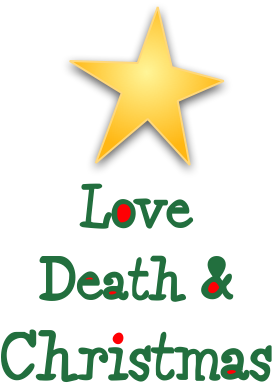 In the meantime, I have finally finished casting LOVE, DEATH & CHRISTMAS and created the logo. Rehearsals start December 4.